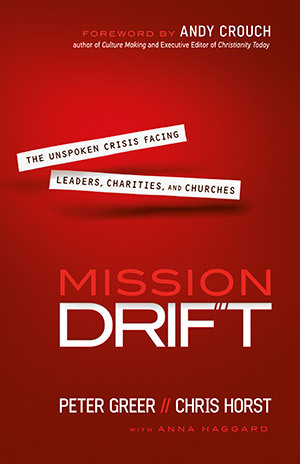 Just a year later, writing alongside co-author Chris Horst, he’s released another book, Mission Drift — this time focusing on the spiritual risks faced by Christian organizations, churches, and the leaders who drive their missions. Their thesis: “Without careful attention, faith-based organizations will inevitably drift from their founding mission.” Assuming such organizations are founded out of obedience to God, such missions are not, of course, ours for the drifting. Indeed, staying Mission True isn’t important simply for the sake of staying Mission True — conserving for the sake of conserving. 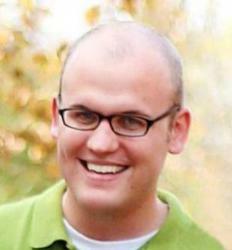 It’s important because, as Christians, we believe the Gospel transforms all that we do. Our prophetic witness must witness to something. Word is inextricably linked to deed. Before we take the necessary steps to protect and reinforce our Christian identity and purpose, we need to reach a full understanding of how everything we do hinges on the Gospel. If we are called by God to serve a particular area and particular people, equipped with a particular vision and mission for that particular form of service, the basic direction of our worship and the fundamental alignment of our hearts is bound to impact the nature, orientation, and impact of the work itself. Many Christians know and understand this at a fundamental level. As the authors observe, “most organizations have not willingly, consciously, changed direction” or “volitionally chosen to soften their Christian distinctiveness.” Yet drift is happening, and it seems increasingly prevalent given the various tugs of modernity and secularization. This book comes as a helpful and timely reminder that when boots hit the ground, hands get dirty, and donors, customers, and congregants get picky, it can be far too easy to neglect or forget both the origin and end of our efforts. I’m thankful for the wisdom and empowerment this book provides in mitigating that risk, and I highly recommend it.